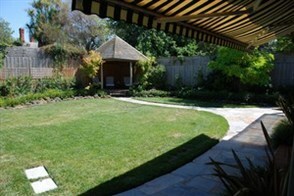 At Natural Harmony Landscapes it is our job to make your landscaping dreams in Melbourne a reality. Our professional team of landscapers is dedicated to bringing your visions to life and has done so for countless happy clients. With our team’s knowledge and expertise you can trust that we will create a landscape you will love. As a company, it is our belief that your home is your own special sanctuary and thus must reflect your personal tastes and needs. In order to create your own slice of paradise that is both beautiful and functional, our designers work closely alongside you. In our initial consultation with you, we discuss your personal style, taste, needs, lifestyle and budget so we can design a landscape that suits all of these requirements. From there, we draft up conceptual plans. Once the design has been drawn up, construction begins. During this process we provide a complete and comprehensive landscaping solution. Our talented team prides itself on having the skills to perform all aspects of design and construction and not having to outsource trades. Whether it’s paving, turfing, decking, irrigation, pergolas or any other special feature, we have the ability to do it all. Our ability to take care of the complete landscape, gives our valued customers the comfort they deserve. With Natural Harmony Landscapes, there is no need to worry or stress about having to deal with different tradesman on different schedules, as we deliver the complete package. This gives you important peace of mind that everything will be coordinated and completed properly, on time and on budget. If you want the landscape of your dreams, hassle free, choose Natural Harmony Landscapes. 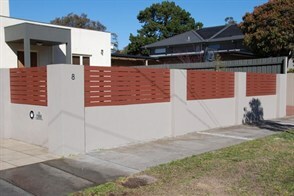 We offer a broad range of landscaping services in Melbourne that tie perfectly together to create a landscaping masterpiece.